Garbage wasn't the first to blend big, fuzzed guitars and electronic beats and loops but they created their own template and one listen to their first album in seven years, Not Your Kind Of People reminds us they have something special and unique; it reminds us why we fell in love with them in the first place. Their construction -- three accomplished producers and a frontwoman who connects with audiences by exuding ferocity, confidence, and vulnerability -- pop hooks, and songcraft set them apart from imitators and successors alike. Some bands take time away, never to be heard from again. Absence seems to have made the heart grow fonder for the sometimes tricky friendships between vocalist Shirley Manson, drummer Butch Vig, and guitarists Steve Marker and Duke Erikson. The fondness for each other extends to the music as they've rediscovered the love for the magic of their core sound. I knew how much I missed them while they were away but I'm a superfan who was onboard early, before their self-titled debut became one of the biggest albums of the '90s. People powerfully fills a vacuum others may not have known existed until now. They were in the right place at the right time when they debuted. We need them now and they have returned as forceful as the day we first met. A lifetime of devotion to music obsession has given me a sense I know a hit when I hear it. I wouldn't take me to Vegas when it comes to picking a winner but the first time I heard "Blood For Poppies," I couldn't think of a single reason it wouldn't have been a hit in 1996 and it feels like the kind of song that should blaring from car windows as teenagers escape the drudgery of school and embrace the freedom of summer. "Blood For Poppies" has all the ingrediences "song doctors" are paid millions of dollars to supply to lesser talents. Fat, pulsing beats and squalling guitars collide and Manson struts through the verses before giving a big payoff in the chorus with overdubbed harmonies literally and figuratively calling on the radio. Maybe I'm showing my age and letting fanboy gushing get the best of me but it's a shame the kids won't get a chance to decide for themselves because corporate swinging dicks are never going to give this a fair shake. "Control" and "Battle In Me" are deeply rooted in their '90s sound with harsh, abrasive guitars built on live drumming and slick loops, hitting as hard as anything they've ever done. What really makes them smolder is Manson's inimitable vocal presence, including those sinister growls and darkly seductive purrs. "Control" opens gently but gathers steam like a locomotive with harmonica-like sound effects blowing like a runaway train and a throbbing bass line beneath. Manson described "Battle in Me" as her "cougar song" during a live performance on MTV Hive Live and it combines layers of distorted guitars and a stuttering bass line with an an anthemic refrain built on heavily distorted, machine gun-like drums and abrasive guitars. The Supervixen has reclaimed her throne and the crown fits just as well as you remember. "Beloved Freak" and "Not Your Kind Of People" are the two ballad moments on the record, something Manson doesn't get enough credit for doing well. Of the two, I'll take "Beloved Freak" if for no other reason than the very idea of her working "This Little Light Of Mine" into one of her songs and bathing it in overdubbed vocal haromies is just too delicious to resist. Manson has sung of the scars she wears and the darker impulses of the human heart but here she sings with sweet, pure love for the misfits among us. It's as naked and honest as anything she's ever written or sung. There are so many more things I love about this record and the songs I've yet to mention because this is their most consistently rewarding work since their self-titled release and its stellar successor Version 2.0. Could they ever top those records? Doubtful, but let us all join together in prayer and sacred wish we don't have to wait seven more years to find out because Not Your Kind Of People not only holds its own with their best work, it provides some of the best songs of their career. 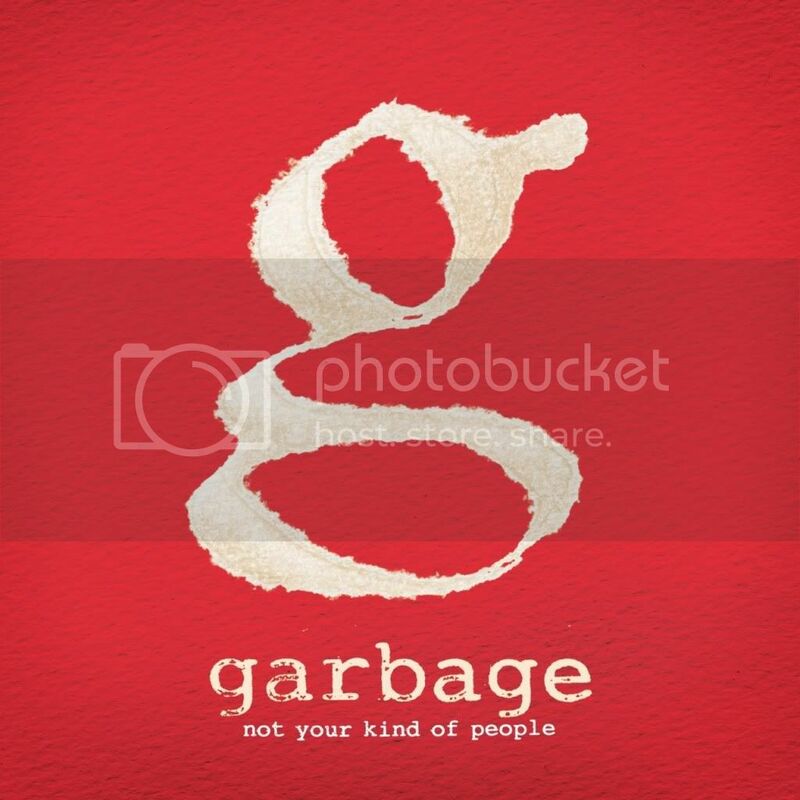 That's reason enough to celebrate; Garbage is back, they're brilliant as ever, and I hope they stick around for awhile.